2011 has been another crazy year, and our lives haven’t gotten any less hectic – or fantastic. One of our life-changing updates this year was the purchase of our first home. The process was certainly a roller coaster, but our love for the new home has not been. It’s already become a very major part of our lives, especially as Ian continues to grow up and explore his new home. This year, for our Christmas Card, we invite you to explore our new home through the memories we’ve made there. You’ll see a few of the rooms of our house. In each room, you’ll find some Christmas ornaments. Hover on the ornament to see a video clip, photograph, or other memory that took place in that room. We promise they’re adorable. View our 2011 Christmas Card here. 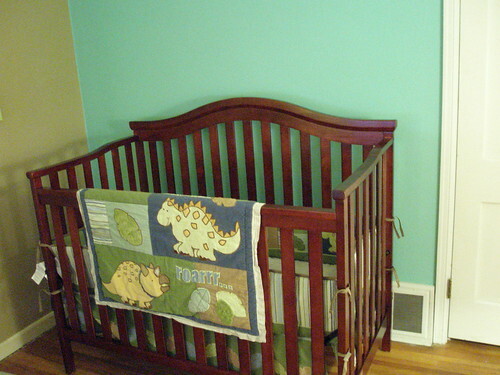 We worked on the nursery this weekend. 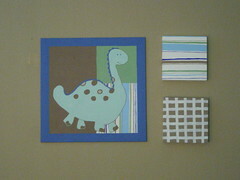 I decided I wanted to paint a wall, based on the colors in our nursery bedding/paintings I did. 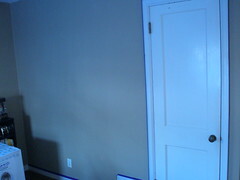 So we got paint. 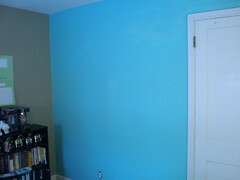 And I painted the wall. 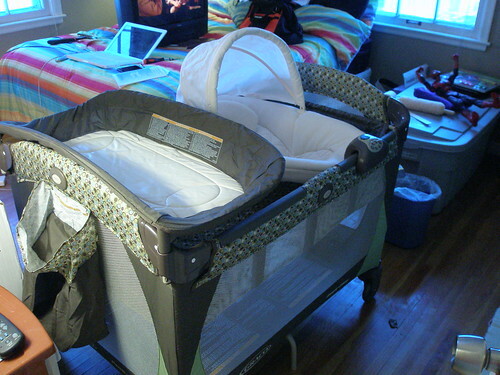 Then we decided we were going to buy the crib this weekend too. And assemble it. While we were at Target, we noted that the Pack n Play we were planning to purchase was in stock. So we bought that, too. And figured out how to set it up. 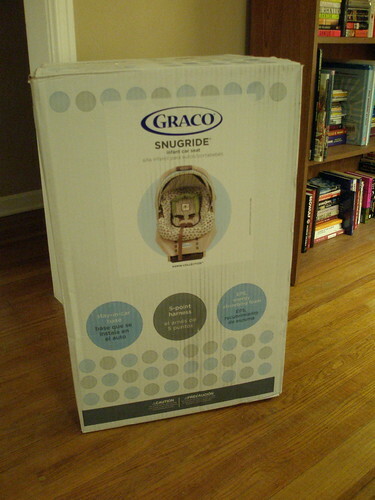 I had purchased a car seat earlier in the week, so we unboxed that. All while rewatching season five of LOST. Then last night we hung up the canvases I painted over my Christmas break. You can see the whole set on Flickr. 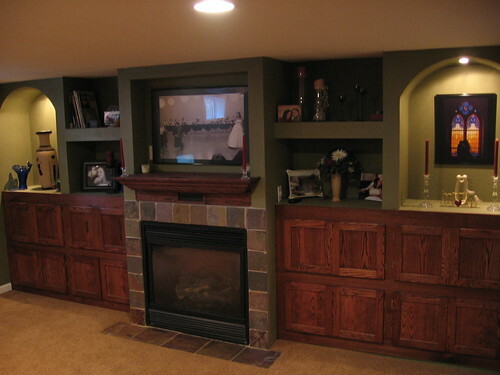 The only pictures that show the most accurate color for the wall are the ones with the canvases on the wall. The others look really bright. 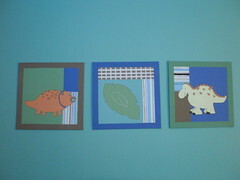 If I were to change anything on the paintings, it would be the triceratops. He looks goofy and has no neck. But, he looks the same on the bedding of which I was basing it off of, and I didn’t want them to not match. I guess we’ll just be teaching our son that even goofy looking people belong. We finally have some pictures of our house. The place is put together and completely unpacked. Things might not be in their final resting place, but they’re out of their boxes at least! That’s further than we got in the apartment…we ran out of places to put our stuff! Check out the rest of the set, Our House. When not in a hurry, the front and back yards can be mowed in under 45 minutes. No computers were harmed in the 0.242 seconds it took to produce this page.